Our mission is to bring stories to life that we are passionate about and believe others will be too. Currently, we are publishing comic books, graphic novels and audio books. Our stories are from new voices as well as the very best of Canadian and international storytellers. 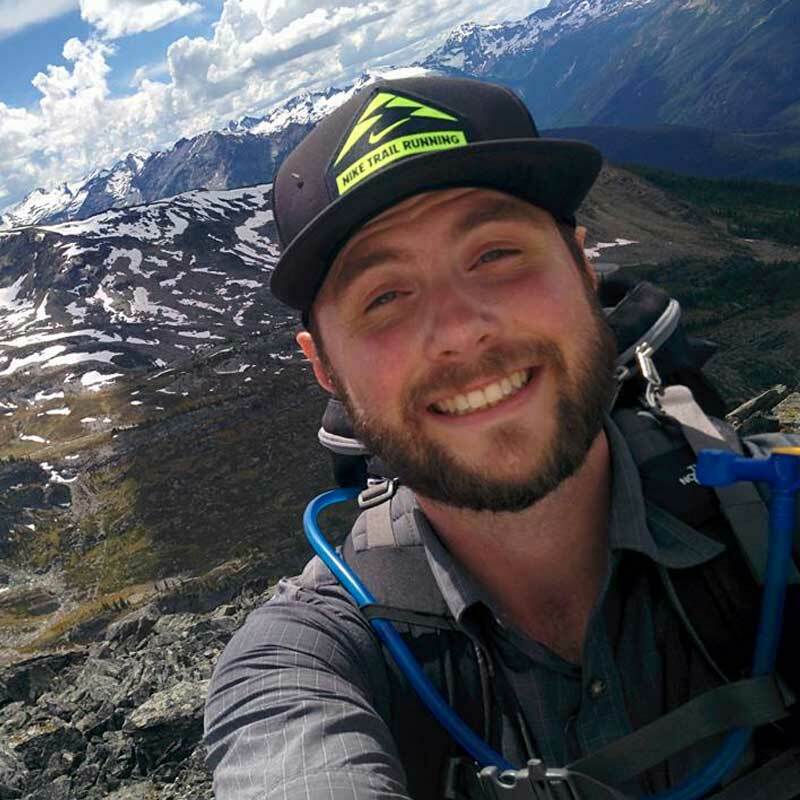 We operate from the Rocky Mountains in Canada, though members of the team are working from many different countries. At the heart of the company are Alexander Finbow, Doug Bradley, John Finbow, Emily Pomeroy and Sean Tonelli. They are joined by a collection of extremely talented freelance artists, writers, composers and more from all over the world. 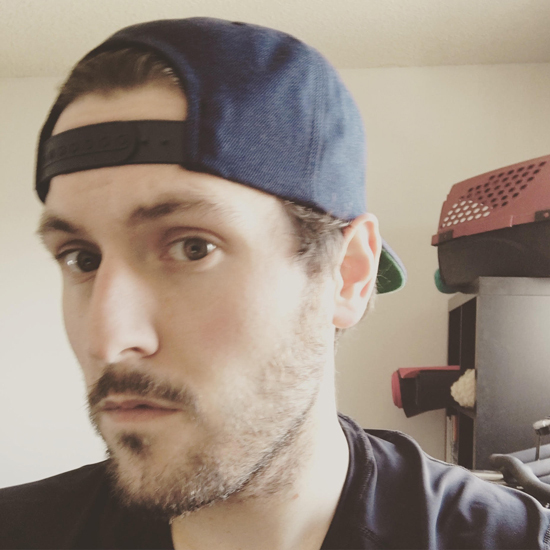 As well as overseeing Renegade’s development, Alexander is also the main producer for the Spinechillers series, the writer behind the Shades of Grey comic books, and the main editor for our projects. Inventor and entrepreneur, John is usually the calm and rational influence behind the scenes at Renegade. That is, until he is also swept up in a wave of excitement for a potential story too. Emily is a university student with an appreciation for comics who helps out around the office and occasionally wrestles with Apple customer service. She enjoys singing and The X-Files. In a nutshell, Sean markets comics, writes comics and letters comics. Resides in Canmore, AB. Creator of One More Soul, Winterisms & #APPS. Oh, and +33 to magicka. 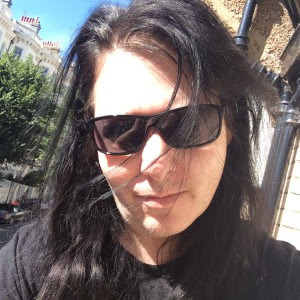 One of the most successful and prolific comic book writers in the industry, Alan is a key writer for Renegade and the creator of the horror comic series Channel Evil. He also wrote ‘The 1812 War’, and adapted it into a novel. Alan uses his experience to guide the editorial direction of Renegade’s comic and movie projects. Ben Rankel is a Canadian artist & writer, and is drawing and writing our upcoming graphic novel Frank. His comic, illustration and design work on Sidney York’s 2015 album <3s (HEARTS) was nominated for a Western Canadian Music Award. Ben lives in Calgary, Alberta with his partner Fiona and their cat, Kupo. Lovern is a successful writer, colorist and illustrator based in Winnipeg, Canada, writing the Shame trilogy and Underworld for Renegade. 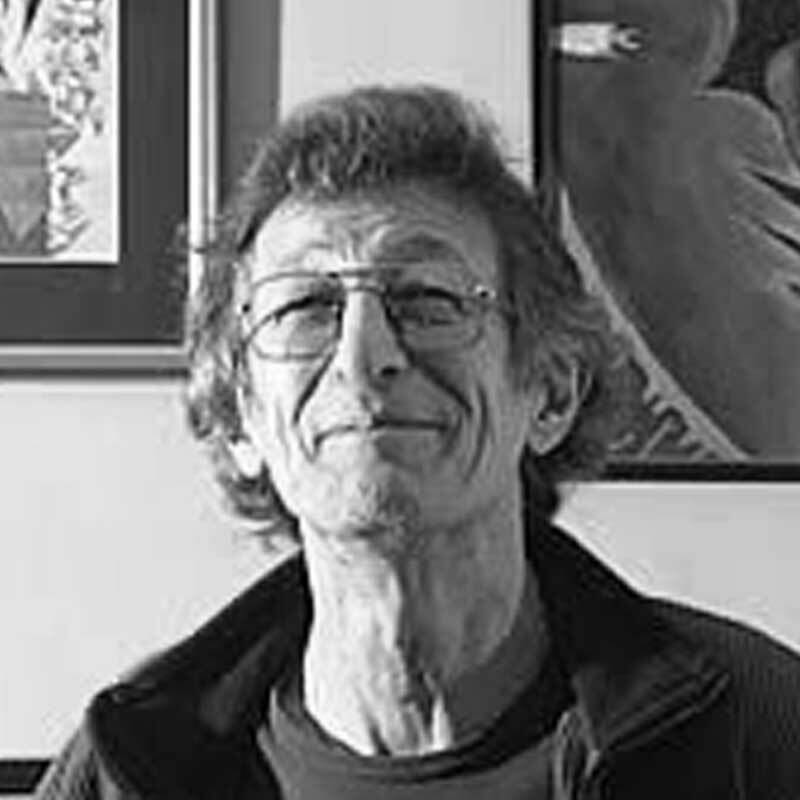 Lovern Kindzierski’s colours have appeared in many comic books and magazines including The X-men, Star Trek, Dr. Who, The New Yorker, Wired, and Sesame Street. GMB Chomichuk is an award-winning writer, graphic novelist and public speaker, as well as the artist for Underworld. His work has appeared in film, television, books, comics and graphic novels. You can watch his creative process in the Kelly-Anne Riess documentary Artists By Night. He calls Winnipeg home and wants you to join the fight and make comics. Niigaanwewidam James Sinclair is an Assoc. Professor of Indigenous Studies at the University of Manitoba and one of the writers for The Loxleys and Confederation. 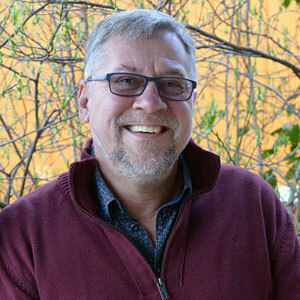 He is a regular commentator on Indigenous issues on CTV, CBC, and APTN. His written work can be found in the pages of The Exile Edition of Native Canadian Fiction and Drama and The Guardian. A Winnipeg-based illustrator with a penchant for Prohibition-era gangsters, bears, dinosaurs and the absurd, Nyco’s art features an eclectic mix of propaganda-style design, anthropomorphic animals, old school 3D, and film noir. When he’s not obsessively researching Canadian history, he’s enjoying quality time with his wife Janelle, their son Jude and dog Morgan. Dan is the artistic genius behind the artwork for the Doug Bradley’s Spinechillers cover designs. He has also composed the music for a number of the stories too. Dan is also a successful musician and is often away on tour wowing crowds with his mastery of the six string axe. Steph is a talented Pittsburgh based artist who designed the Spinechillers logo and the striking T shirt it adorns. A big fan of the work of Edgar Allan Poe, Steph has created a number of fantastic art pieces influenced by his work. Liz is one of the talented freelance artists working with Renegade who is also well on her way to becoming a fantastic animator too. Her first illustrated children’s book ‘Granny’s Attic’ became Renegade’s first publication. Her photography has been exhibited around the country and Liz is currently working on a series of unique masks. Gina’s role within Renegade is to keep us connected to the people and companies who are innovating and driving the industry forward. Outside of Renegade, Gina is currently CEO of the South East Media Network and a movie producer. Gina can often be found on the decks at unofficial raves across the South England as she relaxes as a hard house DJ. Theo is one of the freelance animators working with Renegade from time to time, having recently completed work with Liz Dodsworth on her Death and the Gardner short film for us. Theo also works for clients that include the BBC, and he is an expert martial artist. 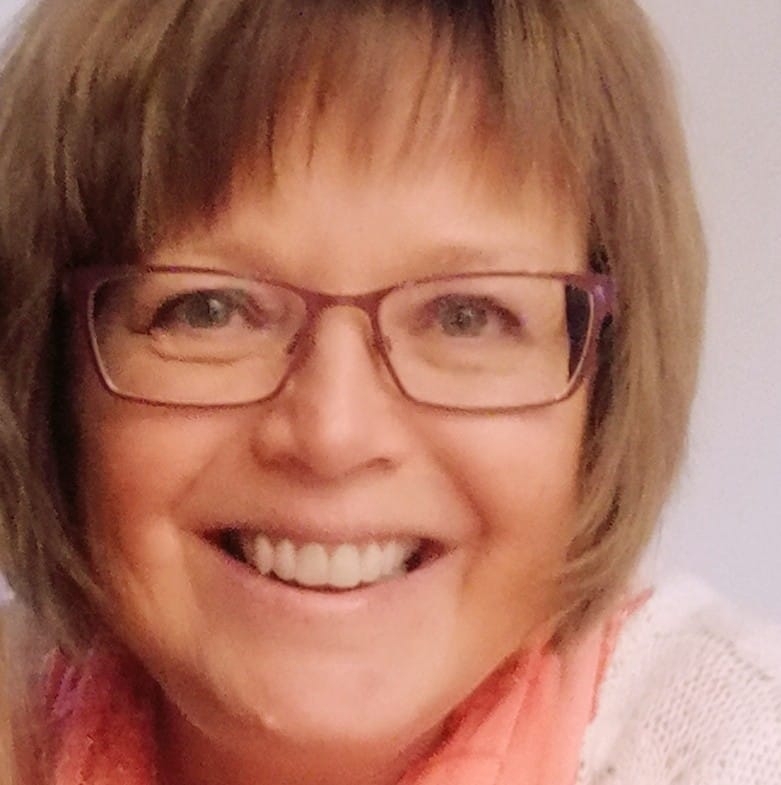 With 25 years of transcription, proofreading and editing under her belt, Marilyn is a central part of the Renegade team. The artist for the acclaimed Shame trilogy, and described by director Robert Rodriguez as a “God” for his art for Peter Straub’s The Green Woman, John was seven when he first encountered a paint brush. It was love at first sight, offering him an output to visualize and create what he saw in his mind and put it to paper. Thus began a life- long ambition of creativity all connected by one underlying theme – the interesting and bizarre. Jim Campbell is a professional comic-book letterer, one-time writer (perhaps again in the future!) and occasional artist (although his enthusiasm rather outstrips his actual ability). He knows more about print production than mortal man was meant to know and has also scanned more images than you’ve had hot dinners. 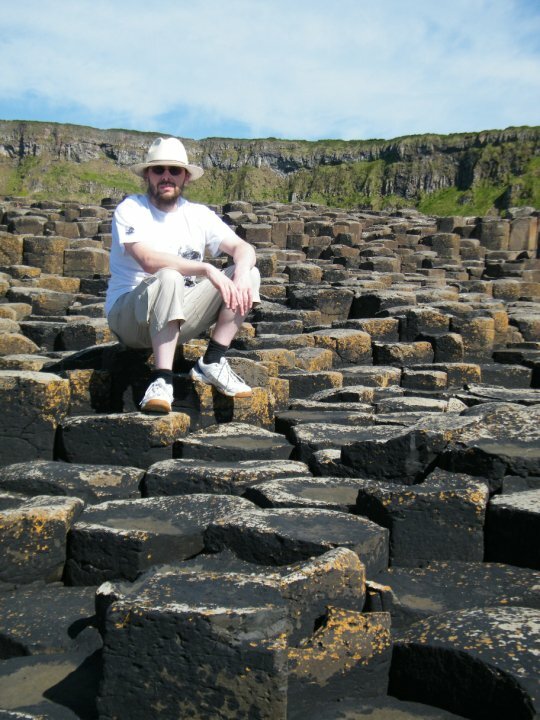 Jon, in 25 years as a comic book artist, has worked on iconic characters such as Judge Dredd, Dan Dare, Spectacular Spider-man,Shinobi,Teenage Mutant Hero Turtles, Warhammer Of Ancient Blood, Mutant Chronicles, Thunderbirds, and Dr Who. Jon has brought humour strip ‘Tales of The Buddha Before He Became Enlightened’, created with Alan and Jamie Grant, to live at Renegade following the folding of Wasted magazine. Claude St-Aubin was born in Matheson, Ontario, of French Canadian parents. He spent his teen and young adult years in Montreal, Quebec where he graduated from college as a graphic designer. He is the artist for The Loxleys series and for Mandi Kujawa’s Jacqueline the Singing Crow. William Simpson is the storyboard artist on HBOʼs hit fantasy series Game of Thrones, and is creating artwork for Renegadeʼs Shades of Grey comic books, as well as writing and drawing the Vampire epic VMT for us. William has handled art duties on many comic book titles including: Batman, L.O.T.D.K., Vamps, Hellblazer, Aliens, Judge Dredd, Rogue Trooper, and many more. Hollywood credits include Reign of Fire and Ondine. 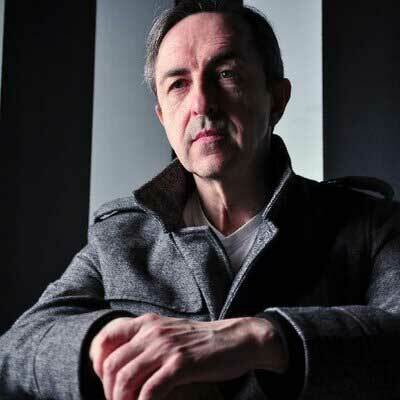 Freelance writer for over 20 years – When he’s not being ungainfully employed as a BAFTA-nominated video games scriptwriter, he keeps himself busy writing comics, novels, screenplays and Doctor Who audio plays. Comics work includes Predator, Judge Dredd, Rogue Trooper, Missionary Man, Necronauts, Caballistics Inc and Absalom, and Dept. of Monsterology for Renegade. Todd is best known in comics as a letterer, which he’s been doing since 1977, working with writers like Neil Gaiman, Alan Moore, Bill Willingham and many others, and collaborating with a host of artists. He lettered The Loxleys and the War of 1812. 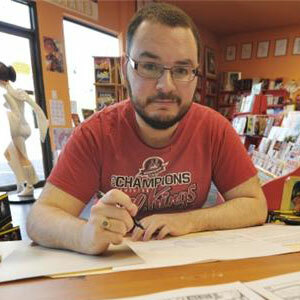 He also designs logos, covers and interior pages for comics, and has credits as a comics writer as well. 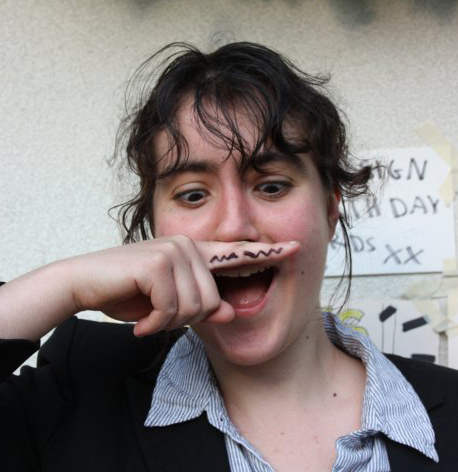 Emma is an award-nominated writer working in games, film, 2000AD comics and Doctor Who Big Finish audio. She has written Robbie Burns: Witch Hunter with Gordon Rennie. 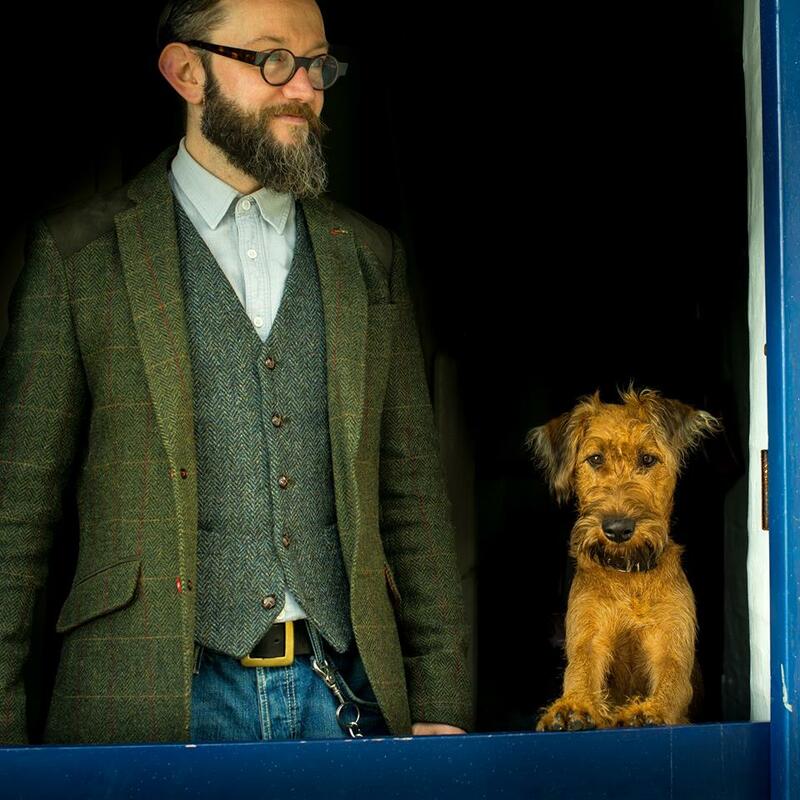 PJ Holden is a Belfast based comic artist, who has worked for Fantagraphics, Image Comics, Dynamite and 2000AD.Currently drawing Department of Monsterology for Renegade, and has also been a guest artist for The Spinechillers web comic. 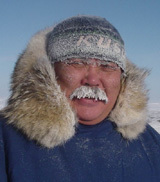 Michael Arvaarluk Kusugak; born April 27, 1948 in Repulse Bay, Nunavut, where he spent much of his childhood. He is a storyteller and a Canadian children’s writer, who tells stories about Arctic and Inuit culture, and wrote On Waiting for Arctic Comics. 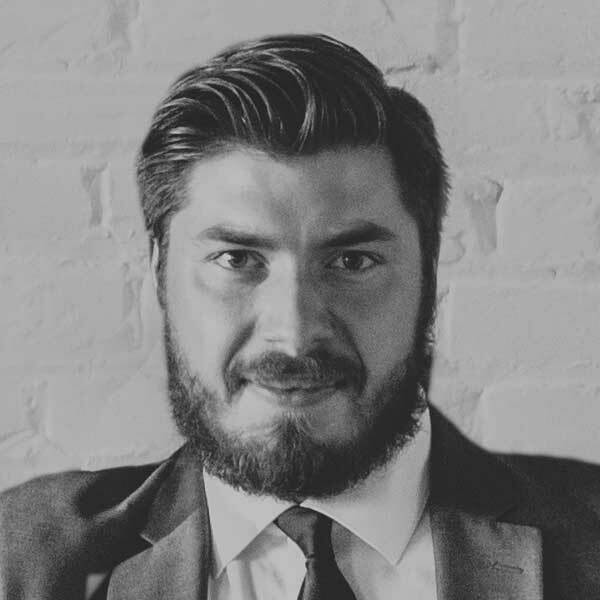 Phil handles website design and implementation for Renegade. He has been designing and developing creative, accessible and clean coded websites for a number of companies. 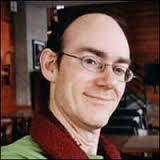 Phil is also a talented pianist and performs with bands in the UK. 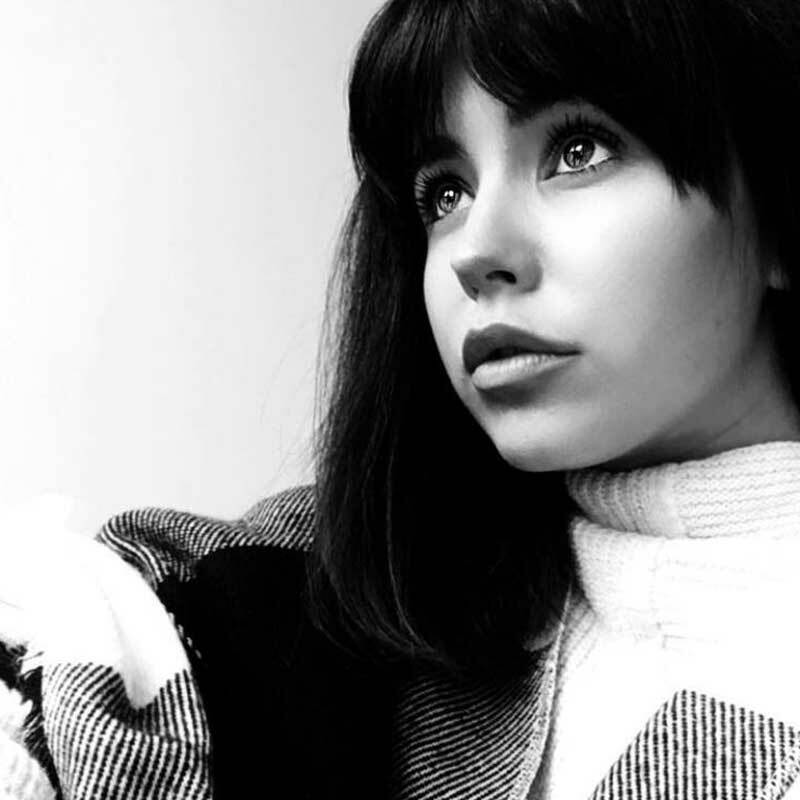 Business Development is Luisa’s remit, bringing experience with accounting, PR, and marketing to Renegade along with an appreciation of the Fast Show, good music, and great stories. In her spare time, Luisa will be found either at a gig or racing down a mountain at break-neck speeds. Germaine Arnaktauyok is an Inuk printmaker, painter, and drawer originating from the Igloolik area of Nunavut, then the Northwest Territories. Arnaktauyok drew at an early age with any source of paper she could find, and provided the artwork for the story Kiviuq vs Big Bee appearing in Arctic Comics. Jamie Grant made his first impression in comics with his run on Missionary Man in 2000 A.D. (following on from Frank Quitely). Since then he has become known more as a colorist on titles like We3, All-Star Superman, Hellblazer and Tales of the Buddha Before He Got Enlightened. 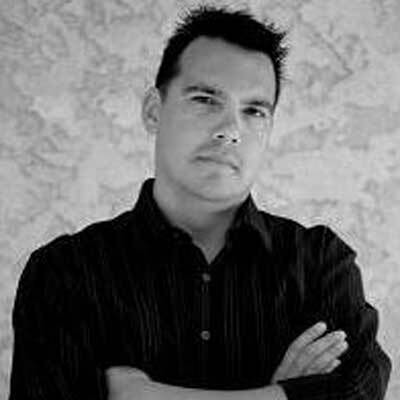 Canadian Chris Chuckry has worked with Marvel, DC and Dark Horse amongst other publishers of comic books, in North America and in Europe. Chris was the colourist for The Loxleys and Confederation and Dept. of Monsterology: Sabbaticals. 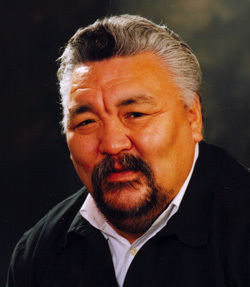 Jose Kusugak was an Inuk politician, teacher, and writer from Repulse Bay, Nunavut, Canada. He moved, along with his family, to Rankin Inlet in 1960. In acknowledgement of his work negotiating the creation of Nunavut, he has been called the “Last Father of Confederation.” He wrote Kiviuq vs Big Bee for Renegade’s Arctic Comics. He passed away in 2011. Tiernen Trevallion is a comics artist who illustrates Absalom for 2000 AD. He has also worked on Tharg’s Terror Tales and Tharg’s Future Shocks in 2000 AD, and Tales from the Black Museum and Judge Dredd in the Judge Dredd Megazine. He was the artist for Robbie Burns: Witch Hunter. His lovingly detailed art repays close examination, especially when he slips in something cheeky in the background. 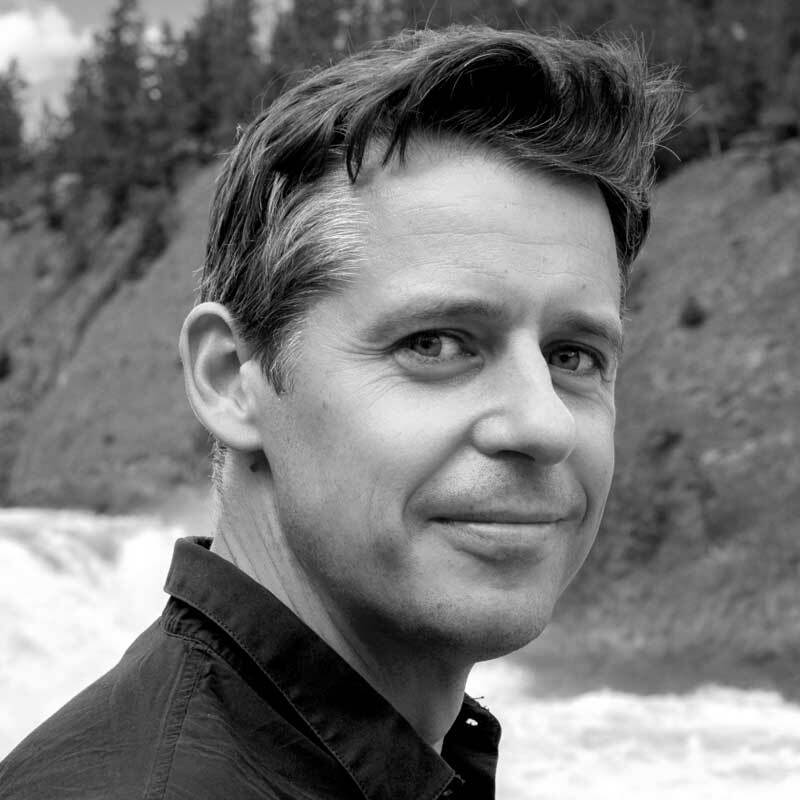 Fascinated by Canada’s military history, 2014 Pierre Berton award winning author, Mark Zuehlke, developed the best-selling Canadian Battle Series, which documents the Canadian World War II experience, and was a writer for The Loxleys and Confederation. 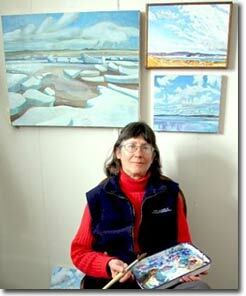 A landscape artist, painting on site, Susan has lived in Rankin Inlet in Nunavut for the past 27 years and lent her skills to Renegade’s newly released Arctic Comics. Mandi Kujawa lives in Banff, Alberta and is a singer, storyteller who also works as a librarian. She runs a youth choir for elementary children in Banff and engages them with her narratives. Jacqueline the Singing Crow will be her first published written story. 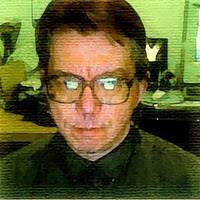 Richmond Clements is a writer, editor and colourist for the small press publisher FutureQuake Press. He has also written Wild West Wendy, a supernatural western drawn by Vicky Stonebridge, and Turning Tiger for Renegade Arts Entertainment. 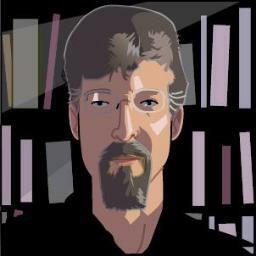 George Freeman is a Canadian artist, colorist and letterer, providing artwork for Arctic Comics. He is most widely known as the artist on Captain Canuck and as one of the founding members of the groundbreaking coloring studio Digital Chameleon. 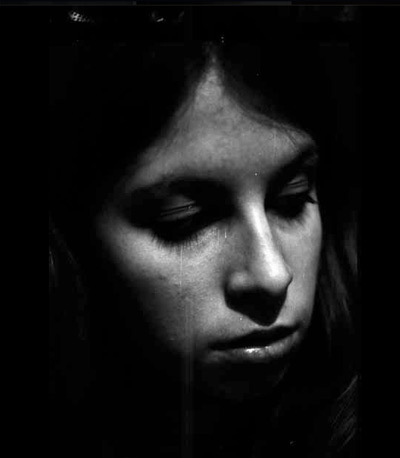 Annie Parkhouse has been one of the leading letterers in British comics for over 30 years, and lettered Jacqueline the Singing Crow for Renegade. Alex is a freelance illustrator and comic book artist from London. Whilst working almost exclusively digitally, she keeps a traditional feel to her images through brushes and textures. She particularly enjoys drawing weird monsters getting their groove on, music-makers and things from questionable points of view. Alex was the artist for Turning Tiger. 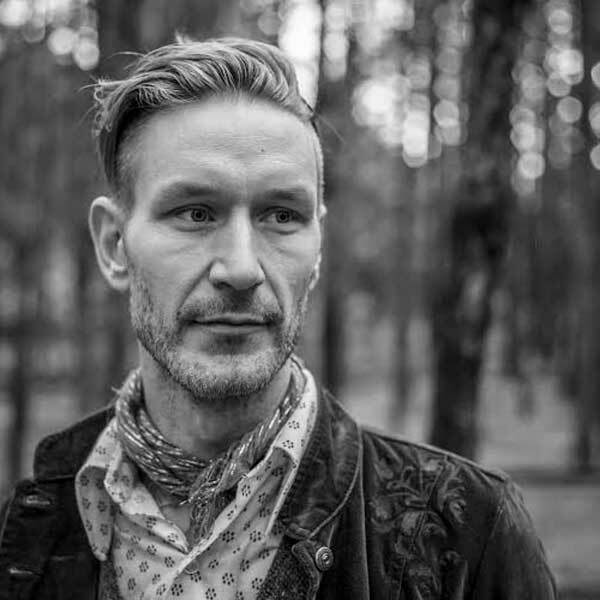 Nicholas is a comics creator of longstanding and both illustrated and edited Renegade’s latest Arctic Comics. While living in the Arctic in the 80s & 90s, he wrote and drew numerous educational comics for federal and territorial agencies including True North, Arctic Comics 86, Super Shamou, New North and Rick’s Recovery. He is an award-winning landscape painter with works in the collection of Federal and provincial governments, and private collections around the world. Cartoonist, game maker, and probably not a robot. 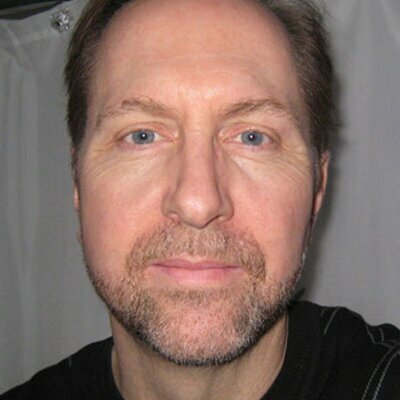 Creator of Where Is Zog?, Redcoats-ish, Hockeypocalypse, and of course, the HEAT comic and card game. Shane Oakley is a British illustrator and comic book artist from Stoke-on-Trent, England and was the artist for Channel Evil. 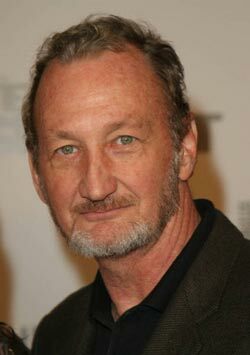 Robert Englund is an American actor, voice-actor, singer, and director, best known for playing the character of infamous serial killer Freddy Krueger, in the Nightmare on Elm Street film series. 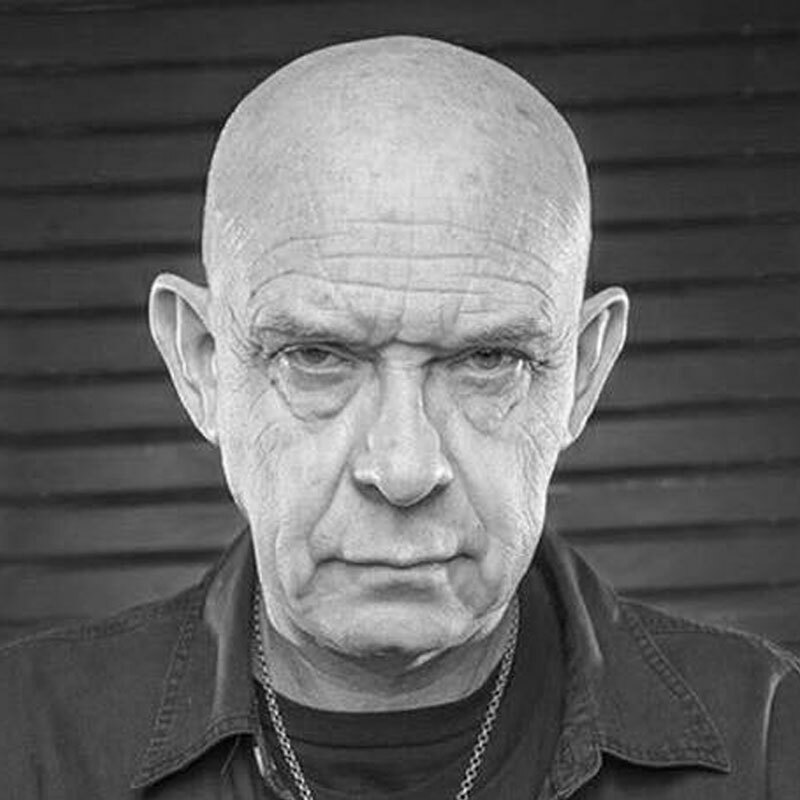 He lent his voice to Doug Bradley’s Spinechillers. 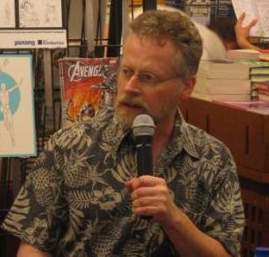 Ed Brisson has been selfpublishing comics since 1994. 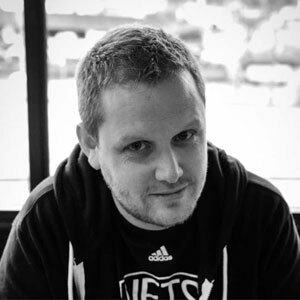 In 2006, he began lettering comics professionally and has since lettered for a myriad of publishers, including Image, Viz, Dark Horse and BOOM. 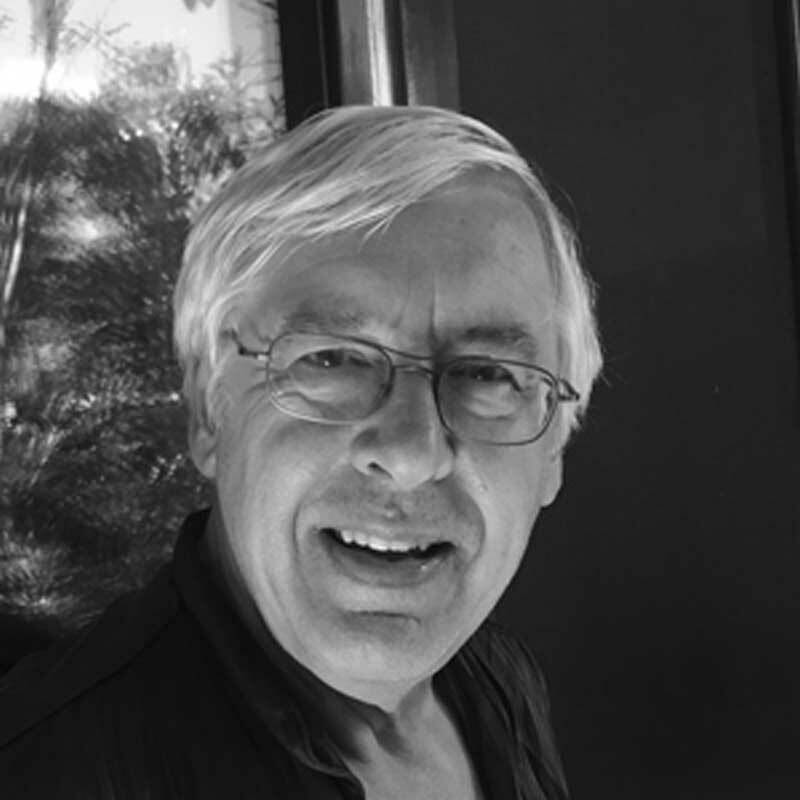 Ed is also an accomplished comic book writer and has been nominated for the Joe Shuster Award for Best Canadian Writer several times. He lives in Vancouver with his wife and daughter and lettered Underworld. Steven studied illustration at the Anglia Ruskin university and is an active member of the British independent comics scene. He has recently turned his hand to colouring, and has coloured Renegade’s Dept. of Monsterology comic series. Trained as a stop-motion animator, Tony found work in comics, creating Dominator for Metal Hammer in 1988. Tony collaborated with Pat Mills on a Nemesis photo-story for the 1987 2000AD Sci-Fi Special before joining forces with Alan Grant to write for Judge Dredd Megazine. One of the original founders of Renegade Arts Entertainment, Tony passed away in February of 2016 after a long battle with cancer. Geof Isherwood is a painter, sculptor and comic book illustrator, and has lent his talents to Renegade’s upcoming title Necromantic. 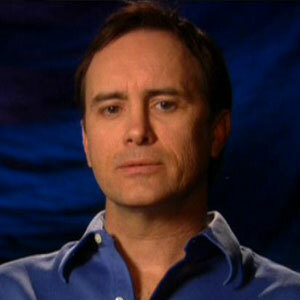 Jeffrey Combs is an American actor known for his horror film roles such as Re-Animator and appearances playing a number of characters in the Star Trek and the DC Animated Universe television franchises. He narrated H.P. Lovecraft’s Re-Animator stories for Renegade’s Spinechillers series. A comic book artist mostly known for his work in the 1990’s with Marvel’s Avengers West Coast series, David has joined the Renegade team as an artist for the upcoming Necromantic. 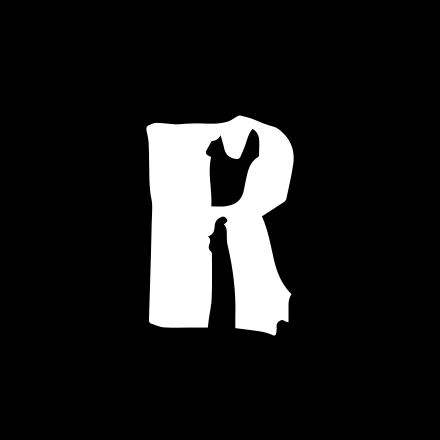 Our Renegade team is currently full, but please check back for future career opportunities!